Trustworthy information, straight from the source. Education is the first step in an empowering healthcare plan. 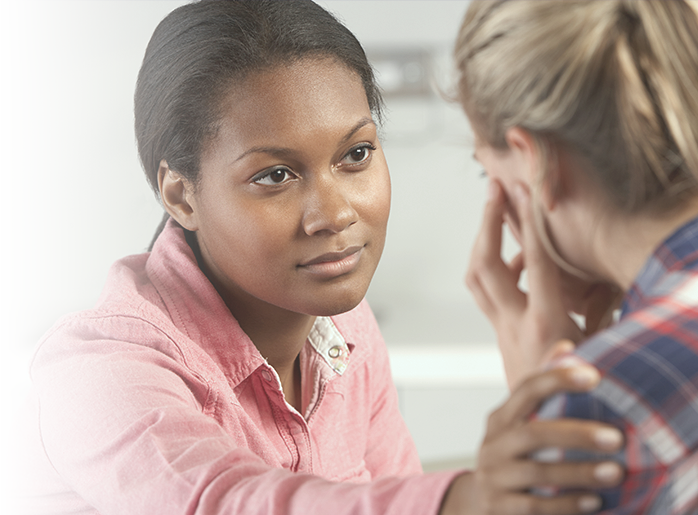 Learn more about depression and mood disorders from prevention to diagnosis and treatment. Depression is a broad range of mental health conditions marked by the loss of interest and pleasure in activities, mood disturbance, and an array of related cognitive, emotional, behavioral, and physical symptoms. While the primary causes of mood disorders remain unknown, the common theories fall into three categories: neurobiological factors, psychosocial factors, and familial factors (genetic and environmental). It is likely the interplay of various factors, rather than any single factor alone, underlies these disorders. Major depressive disorder usually coexists with other psychiatric disorders, such as anxiety disorder (most common), substance abuse disorders, personality disorders, and impulse control disorders. Depression may also occur in the presence of a medical condition or illness. Common signs and symptoms are insomnia or hypersomnia, fatigue, energy loss, weight changes, difficulty concentrating, restlessness (psychomotor agitation) or slowed movements (psychomotor retardation), feelings of guilt, and recurrent thoughts of death. A history of the present illness and current symptoms, including questions about suicidal thoughts, intent, and plans. Psychiatric history, including any manic and hypomanic episodes. Any precipitating events, such as significant changes in life circumstance or other life event. Family history, including mood disorders and suicide. Alcohol or other drug usage. Review of any prescribed and over-the-counter medications. Mental status examination and physical examination. An acute phase, during which remission is induced. A continuation phase, during which remission is preserved and relapse is averted. A maintenance phase, during which recurrence is averted. Treatment options for the management of depression include pharmacologic and nonpharmacologic approaches, administered either alone or in combination. Antidepressants are usually the first-line therapy for patients with mild to moderate major depressive disorder (MDD) and are indicated for patients with severe MDD. Nonpharmacologic approaches include psychotherapy, ECT, light therapy, prescribed exercise, and transcranial magnetic stimulation. Psychotherapy may be considered. Get regular physical activity. Try to exercise for 30 minutes, three to five days a week. Work with your healthcare provider to develop an exercise plan that you enjoy. Physical activity may improve your symptoms. Get enough sleep. Create a routine to help you relax before bed. You can listen to music, read, or do yoga. Try to go to bed and wake up at the same time every day. Sleep is important for emotional health. Eat a variety of healthy foods from all of the food groups. A healthy meal plan is low in fat, salt, and added sugar. Ask your healthcare provider for more information about a meal plan that is right for you. Do not drink alcohol or use drugs. Alcohol and drugs can make your symptoms worse. Your symptoms do not improve. Call 911 if you are thinking about harming yourself or someone else.